623 Fort Street, Victoria, B.C. What mitigation measures are available through policy, legislation or regulation to minimize the cashflow impact of cancellation of Site C on BC Hydro ratepayers or BC taxpayers? 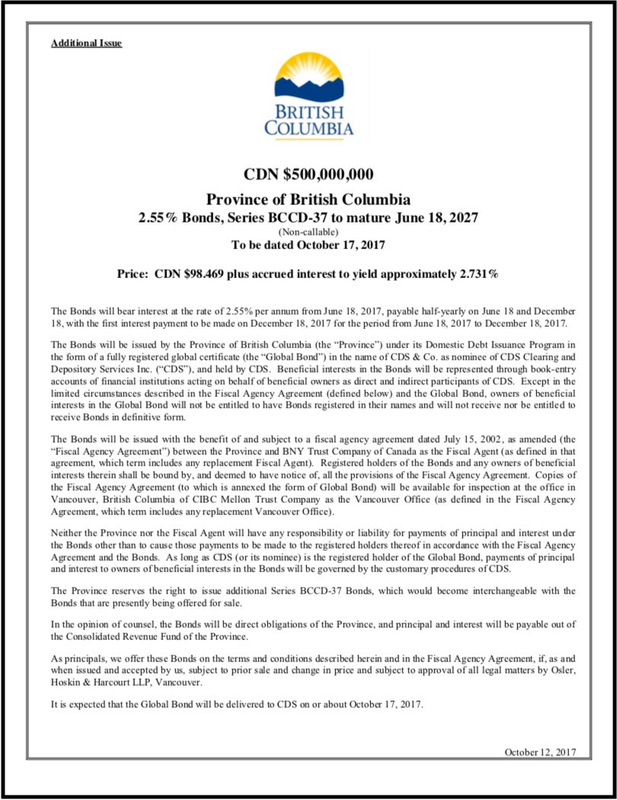 What viable options does the British Columbia government have to ameliorate the accounting (as opposed to cashflow) treatment of Site C cancellation costs? 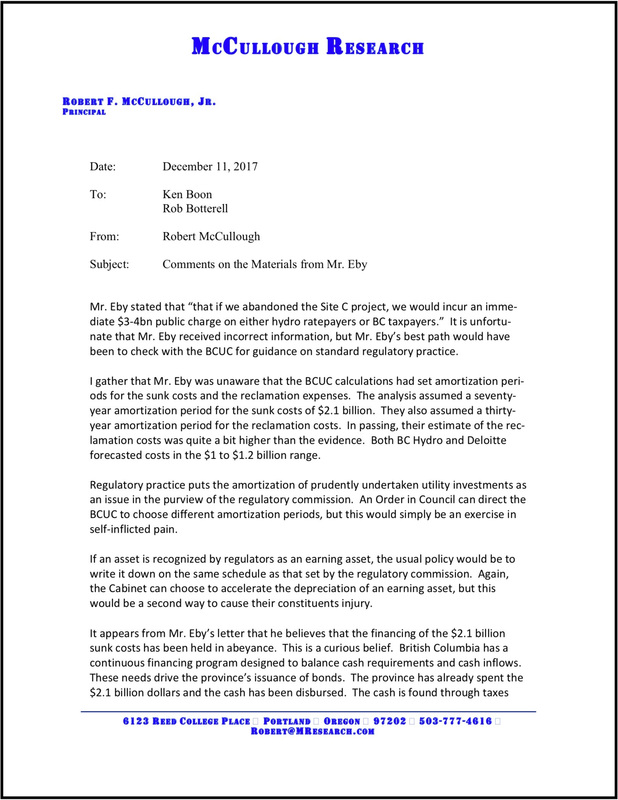 This requested examination is in the public interest because the now $10.7 billion Site C project is the largest capital infrastructure project in the history of BC and there is a fundamental difference of opinion on the potential financial impacts of moving forward with Site C vs. cancelling Site C.
These questions fit well within the overall terms of reference for your Site C dam review which we understand was placed on temporary hold pending the outcome of the British Columbia Utilities Commission Site C Inquiry. The purpose of your review is summarized in the following way, “…explain to the legislature and the people of British Columbia the information and analysis provided to government, the progress and costs to date, and the potential impacts moving forward”. In order to fully understand the potential financial impacts moving forward it is necessary to be able to compare those financial impacts to that of cancelling the project. As an independent officer of the legislature, all British Columbians rely on your examinations and reports to be assured the British Columbia government is achieving its objectives effectively, economically and efficiently. At its core, the BC government is asserting that the only effective, economic, and efficient way to meet demand for electricity in the 2030’s is to spend a further $8.6 billion (assuming no further cost overruns) to complete Site C. And that effective government decision making requires that the accounting treatment of project costs is and should be the decisive factor. Respectfully, we request that this matter be treated on an urgent basis. While this project is only 20 per cent complete, we understand that costs are incurred to the tune of $60 million per month. Given the scope of the questions, the previous work completed by your office, and the inquiry recently completed by the British Columbia Utilities Commission, we are hopeful the interim results of your examination and responses to some, if not all, of the above questions will be publicly available in January 2018. Thank you for considering our request. We look forward to your early response. Please contact me if you have any questions or require further information. 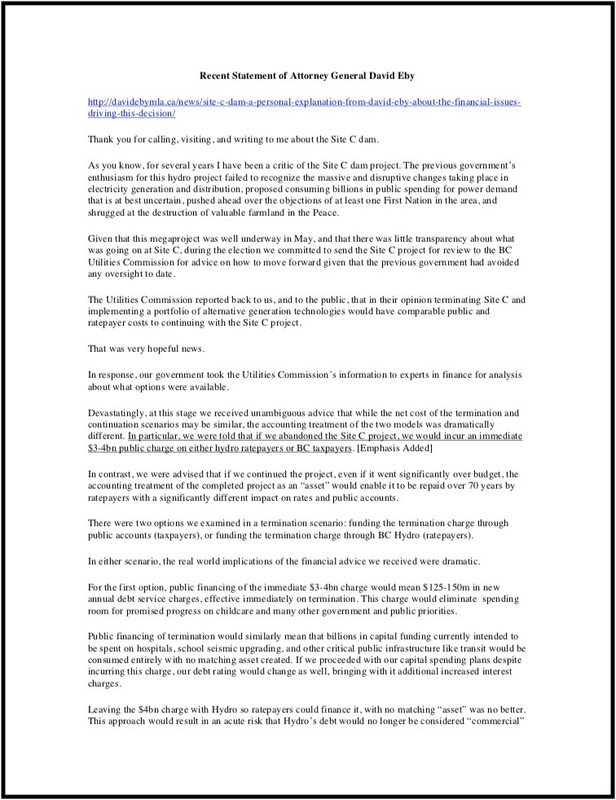 Click here to download the original letter in full.